On August 20, 2016, the Love Peace Harmony Southern California group attended the 8th Annual Interfaith World Peace Pilgrimage at Mt. Baldy, California. Since 2009 hundreds of people from many different faiths have come together annually on sacred Mount Baldy in the San Gabriel Mountains, east of Los Angeles, to send out waves of love and light to the world. This inspiring and joyous event draws together local spiritual communities to walk together, sing together, and pray together in the heart of nature for World Peace. 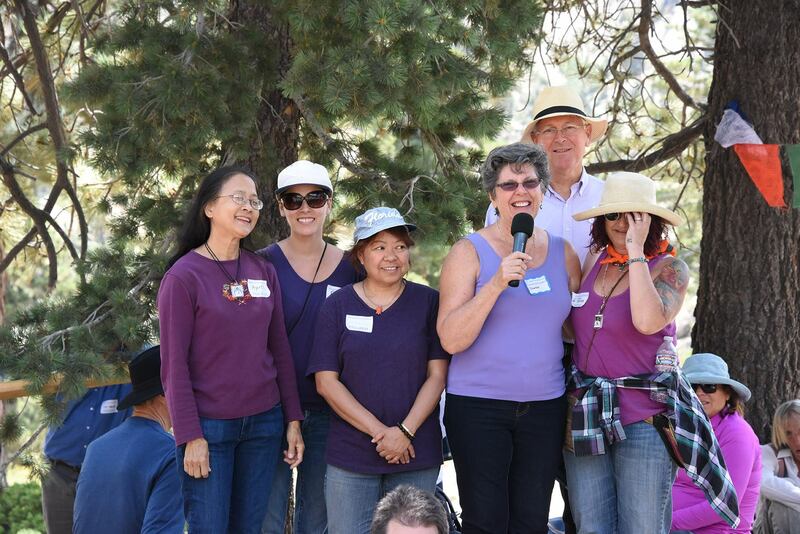 At the event, the Southern California group introduced the mission of Love Peace Harmony for World Peace, and led everyone in singing Love Peace Harmony. In these days of great turmoil in our communities and in the world, it is even more crucial that all faiths come together to cooperate in Spiritual action for World Peace, and bring Love, Peace and Harmony to all humanity!